In deciding to cancel the service, which, by the way, doesn't even have a $10 per month plan available anymore (I was grandfathered in), I did look at some internet faxing alternatives such as eFax . What happened?! The cheapest eFax plan that allows me to send and receive faxes is $17 per month, which is unreal! Aren't these services supposed to get cheaper over time? 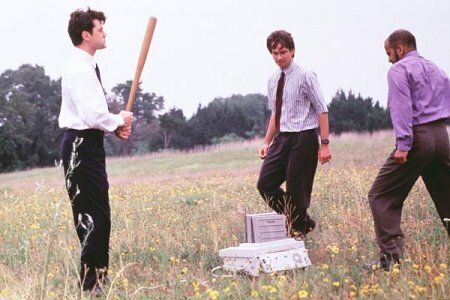 The end result of my endeavors is simply this: I'm not using faxing as a medium for personal communications. Certainly there are cases in business where faxes have a place, but for me personally, I will no longer be retaining the ability to send faxes or receive faxes. By the way: at the time that uReach launched it was one of the coolest unified messaging products around and was nearly untouched by spammers on the fax and e-mail side. Over the years uReach has added many features that would be awesome for small businesses and possibly even for some individuals. I never had any problems with the service at all, rather I am simply using other services to achieve the same outcome and have made a conscious decision that I am no longer going to use one of the primary services. If you have a need for a unified messaging solution with e-mail, voicemail, fax, and a toll-free number, I highly recommend uReach. go to www.dataoncall.com their serice is $9.95 and they have been aquired several years ago by j2Global THE LEADER in the industry. Price is good and they are very good. Ok, but here's the deal: I'm done with faxing as a medium for personal communications, meaning that it's hard for me to justify paying $120 per year for a service that I truly never use. Thanks for the link for those that may be looking for alternatives.